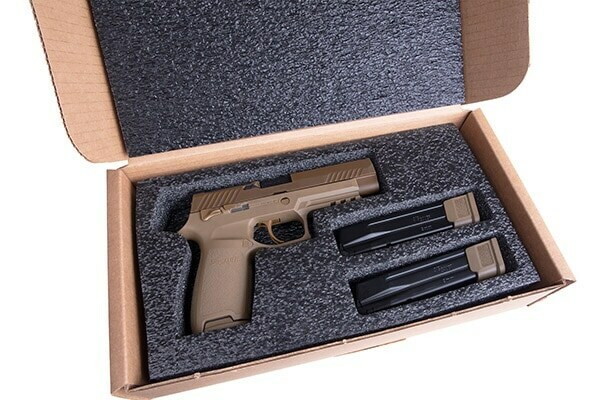 After announcing the launch of its civilian version of the U.S. Army’s M-17 pistol, Sig Sauer has decided to release 5,000 M-17 Commemorative Edition pistols to civilians. The limited release pistol shares the same parts, coatings and markings as the Sig Sauer handgun that was ultimately awarded the U.S. Army’s Modular Handgun System contract. The commemorative pistols are serialized M17-0001 through M17-5000. After registering the pistol, owners will be sent a certificate of authenticity as well as a challenge coin with serial numbers matching the M-17. 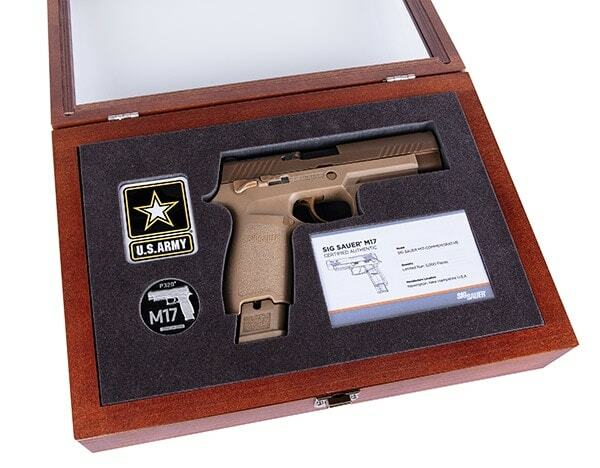 Sold in the same packaging as the U.S. Army’s, the M-17 Commemorative Edition looks to emulate the look and feel of the service pistol in the civilian world. The 9mm striker-fired handgun ships with two 21-round magazines and one 17-round mag. Touting a coyote-tan PVD coated controls, the M-17 Commemorative Edition sports a SIGLITE front night sight paired with a Night Sight rear plate. The limited edition M-17 will set guns owners back $1,122.